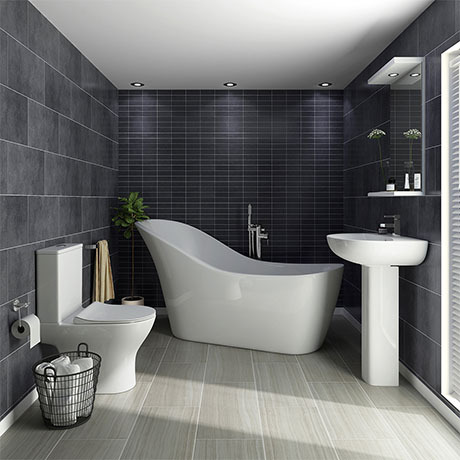 Bring stunning designer style to your bathroom with the Vegas modern freestanding bathroom suite. Features a stylish short projection toilet, basin and freestanding contemporary slipper bath, it's clean minimalist lines would look great in any setting. Bath has been designed for use with wall mounted or floor mounted free standing taps.